The S&P500 is today yielding somewhere around 1.8% per annum. This doesn’t sound like a lot and indeed it isn’t if the investment amount is small. 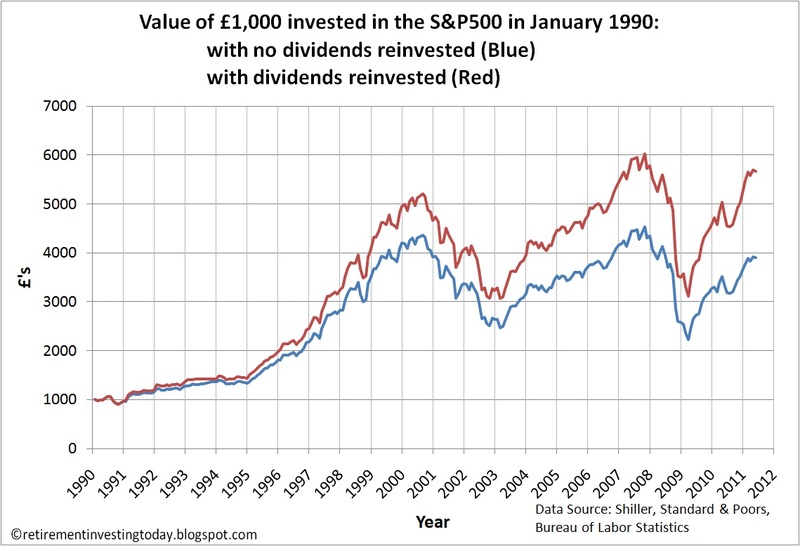 To demonstrate this let’s say an Average Joe had an index tracking (to keep fund fees down) S&P 500 fund/ETF with £1,000 in it today. Having bought a year ago he would have accrued somewhere around £18 (ignoring fees and taxes) in dividends by now. If he didn’t know any better he could assume that amount will make no difference to his Retirement Investing Today portfolio and instead ‘blow’ it on a few beers. What I’m going to show today with some charts is just how much damage that would do to his portfolio in the longer term. If it is a sum where the charges to reinvest it are a small portion of the dividend amount then consider reinvesting it in the asset class which is furthest away from your desired asset allocation on the low side. That will typically be the asset class which has performed worst since your last period of rebalancing. In my case this plus also reinvesting new money using the same principle has meant that in 4 years I am yet to have to sell any asset class to rebalance. 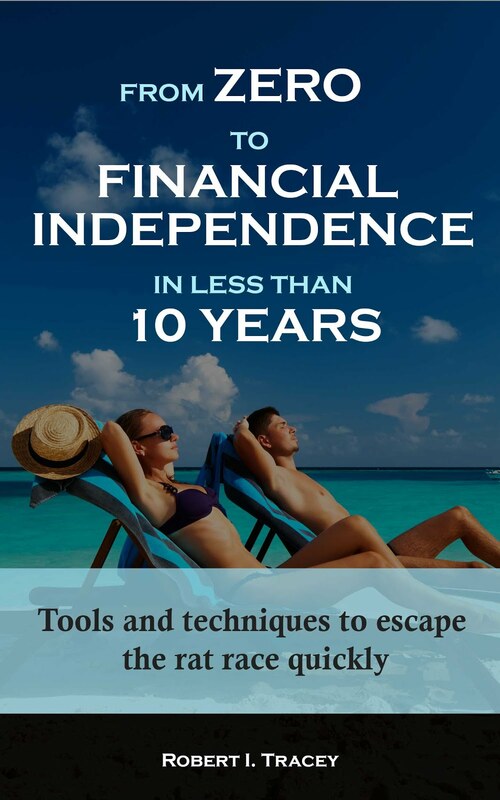 If it is a sum where the charges to reinvest it are a large portion of the dividend amount then consider keeping it within your Stocks & Shares ISA as cash or if outside this wrapper then consider keeping it in a high interest savings account until you have sufficient dividends added together that the charges become a small portion of the dividend amount. As an aside, make sure that you never remove the dividends from your ISA as if you then want to reinvest the amount it would form part of your allocation for that year and so reduce the amount of new money you can invest. Over time this would hurt. 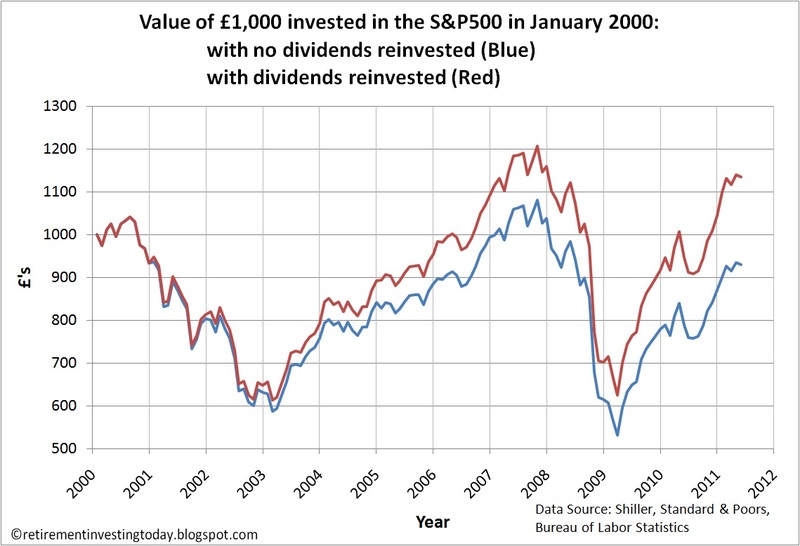 Let’s now demonstrate the importance of reinvesting those S&P500 dividends with 3 charts. In this instance I am going to assume the S&P500 in all years was the worst performing asset class and so Average Joe will reallocate here. 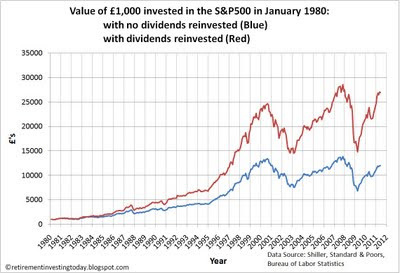 Now let’s increase the investment period to a little over 20 years in my second chart with our Average Joe investing £1,000 in the S&P500 in January of 1980. Now his portfolio is worth £5,673 with dividend reinvestment and only £3,899 without reinvestment. That’s a difference of 45%. Finally, let’s increase the investment period to a little over 30 years in my third chart. 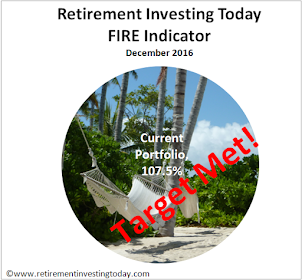 This is still very much in the realms of the investment period for someone saving for retirement. Our Average Joe again invests £1,000 but this time from January 1980. 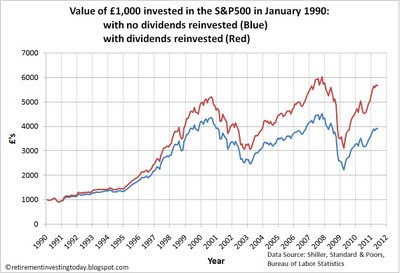 Now his portfolio is worth £26,900 with dividend reinvestment and only £11,954 without reinvestment. That’s a difference of 225%! This post nicely demonstrates the miracle of compound interest and also the fact that small amounts really do matter over the long term. One of the reason I also always work to minimise fees and taxes which leaves a little more in my portfolio for compounding. Prices are month averages except May 2011 which is the 27 May 2011 S&P 500 stock market price of 1325. All analysis ignores fees and taxes. The calculations above assume that Average Joe is paid his dividends once a year in January and they are immediately reinvested. Hi RIT. 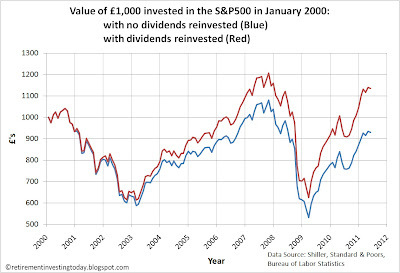 I've come to love dividends as they are always positive! They help with rebalancing the portfolio without having to sell anything (or sell less anyway) and they help in bear markets to stop the portfolio's value falling so far, and then they help in the recovery as they effectively allow dollar cost averaging even if you haven't got spare cash to invest. Win, win, win... win I think. 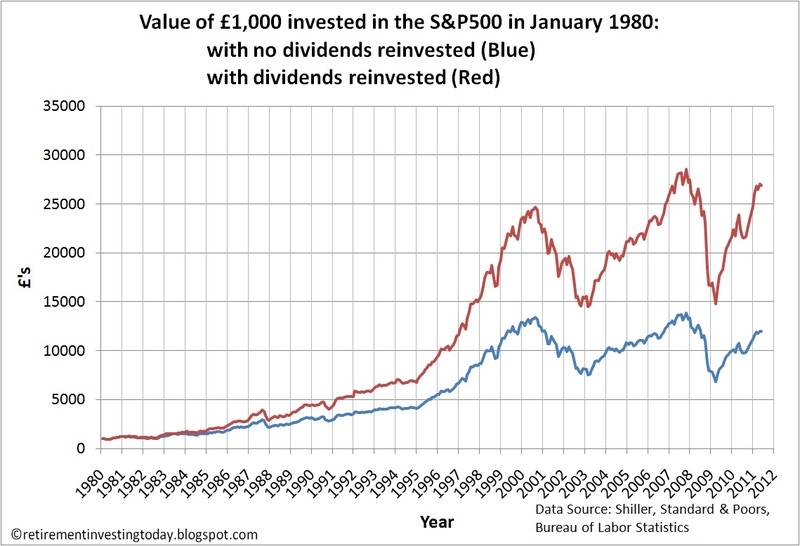 I'd agree that it's best to leave the dividends in cash until there is a big enough amount to bother trading. Say £1,000 or so, otherwise commissions eat the profits.